I’m sitting in the garden again. It’s breakfast time. And with my journal to hand, I’m asking myself the question: Am I closer to God than, say, five years ago? I know, maybe it’s too deep a question for breakfast-time, but there you are. And, it’s a rhetorical question really. I hope that I’m closer to God than, say, five years ago, but how do I know? How do I know what ‘direction’ I’m moving in: closer too, or further away? What is my measure of being closer or further away? When I was younger, oh so much younger than today….I would look around at (local) mature-in-the-faith people for clues as to what being close to God looks like. One person would love archaic language. His prayers were ‘peppered’ with so many ‘thees’ and ‘thous’, and though I do like such language sometimes, when it’s in the context of an old prayer, it did seem to ‘distance’ me from God when I did similar. It may have been okay for him – and maybe for him that was proof that he was, indeed, closer to God, but it didn’t work for me. And, no one really speaks like that, anymore, do they? It did sound odd. Another person would use so many names for God at the beginning of her prayers, that it seemed more like she was trying to catch God’s attention. She might spend three full minutes reciting all the Biblical names of God, then ten seconds asking God for something, and then one second by concluding the prayer with a loud’ Amen’. When I was alone, I tried it. In my prayer time, I called out twenty-two names of God, and before I could go on to ask for sometime (or give thanks etc), it was as though God, in a gentle whisper, had said to me, ‘You had me captivated when you used the first of my names…’. And, it did seem as though all that name-calling did put some ‘distance’ between me and God. Good for my friend, but not for me. And, it did sound odd. One of my Druid friends, and this is many years ago when I was naïve, invited me to one of their ceremonies. Most, though not me at that time, were in brightly coloured and flowing regalia, lovely costumes and very sparkly jewellery. For my friend, it brought him closer to all that is holy, but for me, at that, time….. Well, to me, then it just looked odd. I mentioned this to a Vicar friend at the time. He agreed. Druid costumes, as I described them, did seem odd to him. This puzzled me, that he should also think this, of all people. And, after the service, I helped him disrobe, and verbally made a point of asking him for his chasuble, his alb and cincture, his stole, his staff, and his amice and placed them neatly in the vestry wardrobe. He got the point, and said, ‘I guess all that paraphernalia looks strange to others?’. It seemed strange to me, at the time. – it doesn’t matter what others think. Jesus performed miracles from a distance, by touch, with a word, with an action, by encouraging visits to the Temple, and by spitting in some mud and putting it on someone’s eyelids. Can you imagine how odd that must have looked at the time? Don’t be overly concerned about others views. The question: ‘Am I closer to God’, is a good one, and is rhetorical in many senses. Avoid the ego-based, quick answer of ‘Yes’. It isn’t the whole story. Ponder. And, might you look or sound odd as you come closer to God, when others who maybe aren’t so close look on? Probably. But, does it really matter? And, so I’m sitting here in my pyjamas, the ‘t-shirt and shorts’ kind (maybe that was too much information? ), looking decidedly odd…..but no one can see me. Thankfully. Do you need some ‘spice’ in your life? Would you like a ‘wealth-increaser’? Could your house do with a spiritual ‘uplift’, banishing negativity and encouraging positivity to take root? Dragon’s blood maybe the answer. As an Anamcara, Tadhg has much experience regarding the traditional use of ancient herbs and ‘power rocks’ etc. Indeed, Tadhg’s Apothecary uses many such herbs and plants etc for clients, today. Here’s one that may be beneficial to you. Dragons Blood (Daemomorops Draco) is a resin from the rattan palm. It was known to the Romans of the first century, and was, for them, an important trading commodity. There is something of the dragon in this. Strong. Powerful. Effective. Albeit benevolent. It has a bright red appearance, is a good, natural colourant, and so was (and still is, sometimes) used as a cloth dye, or to make waxes and seals. It has been used by many cultures in various ceremonies, and was used by some, formerly, as an ingestible medicine, but not so, now. If you have not smelled Dragon’s Blood…it is quite fragrant, similar to that of Myrrh and Frankincense, and so, is somewhat reminiscent of a Catholic mass. Dragon’s Blood is also excellent for ritual and ceremony for your group (or for you), or around the house. Myth: Ladon was the name of the dragon, who was believed to guard the apples of the Hesperides, appointed to watch in the gardens of the by Juno, and never slept. The dragon, however, was slain by Heracles; and the image of the fight was placed by Zeus among the stars. Dragons Blood, the red resin, was, according to this myth, the bloody, earthly remain of Ladon. Usage by Tadhg: From the ancient, traditional and complementary healing arts of the ancient Celts, Dragons Blood was very useful. preparing ‘air essences’ for ‘locations and placement-uplift’ eg rooms, workplaces, or for rituals etc. Traditionally, it was used for the healing of : various physical ailment (formerly), but is now not used for ingestion or physical use. It could be said to be the spice of life! It’s said to be an aphrodisiac! It may be mixed with other herbs, for specific purposes (depending on your requirements) and for definite church (and other) ceremonies or to use around the house as an ‘air essence’, or in a general manner such as one would use in the hall-way or bathroom etc. Tadhg could prepare this for you as an ‘air essence’ for the home or as incense for ritual and ceremonial uses, and maybe mix it with other herbs depending on your requirements – its usual for 3-5 herbs to be used – or perhaps there’s some other requirement? Caution: Dragons Blood should never be ingested, nor used externally on the body. Next step: To find out more, and how Tadhg’s Apothecary can assist you with a preparation of this herb (or a mix of this and others, depending on your requirements), do contact him for more information and/or to book a consultation, wherever you are. Note: Intentionality is important. Also, the above-mentioned is for informational purposes only. This ministry is complementary, and not an alternative to allopathic medicine. E&OE. Do not self-medicate. Bt, do contact Tadhg for more information. As an Anamcara, Tadhg’s specialism is liminality, covering mind, body and spirit; and one way this is used to benefit discerning men and women is through the use of herbs for physical, mind, spiritual and ‘locational’ benefits. What follows, then, is information regarding Mistletoe from a traditional herbalist’s point of view. Mistletoe is one of my favourites. Surrounded by ‘myth and magic’, bound up in history and the Christmas ‘rituals’ of kissing under it, it has some amazing properties for those with ailments, or those who require it for its ‘locational’ benefits around the house etc. The English name is said to have come from the Anglo-Saxon Misteltan, mistel from ‘mist’ and tan meaning ‘twig’. The plant is called Herbe de la Croix in Brittany as legend has it that Jesus’s cross came from its wood. Mistletoe is an evergreen, plant found on the branches of deciduous trees. Roots growing from the yellowish-green, forked stem penetrate through the bark into the wood of the host. The leaves are opposite, leathery, yellow-green, and narrowly obovate. Pale yellow or green flowers appear from March to May. Mistletoe, especially at Christmastime, is associated with kissing. Many trace this custom back to the Greeks who used mistletoe in the Saturnalia festival. Mistletoe also figures in a Scandinavian legend of Balder, the god of Peace, who was killed with an arrow of mistletoe. He was restored to life, and mistletoe was then given to the goddess of Love, and it was ordained that everyone who passed under it should receive a kiss, to show that the branch had become an emblem of love, and not of hate. Something to think about, this Christmastime. And, ancient Celts, and their Druids used branches of the Mistletoe to announce the entrance of the new year, and as a protection against evil, especially (but not only) by hanging it from the ceiling. Hippocrates and 17th centuary herbalist Culpepper prescribed it for disorders of the spleen. It has been said, formerly, to have been used in the treatment of breast cancer and/or for the side effects of chemotherapy in Europe, for heart conditions, lowering blood pressure, epilepsy, gout, depression and sleep disorders, tinnitus, dizziness, feelings of anxiety etc. However, even formerly, if the dosage was misjudged, then vomiting, diarrhoea and cramping etc could follow, and it wasn’t used for those that were pregnant or breast-feeding. It is for these reasons and others, including the fact that the US Food and Drug Administration lists this plant as ‘unsafe’ and the UK MHRA has Mistletoe berries on its list of banned substances, that we don’t suggest, nor use it (as a tincture) for internal or external bodily usage. We do, however, suggest it for use for ritual and ceremonial purposes (whether formal or informal), and ‘locational’ purposes around the house eg in rooms, home altar etc, workplace, faith-group meeting place. Thyme (an enhancer of the main constituent). Thyme also brings the benefits of rest, tranquillity and peace. Myrrh. Myrrh has similar benefits to Mistletoe but also encourages deep spirituality, and is therefore popular for rituals and ceremony. Sage. A sage ‘bundle’ used to ‘smudge’ can ‘hold’ the Mistletoe well, and is said to have the added benefit of making dreams come true. For more information about mistletoe and to book a consultation for a herbal prescription and quantity of it, in this case for ritual and ‘locational’ uses only, wherever you are do please contact Tadhg direct. Tadhg’s work is complementary and not alternative to allopathic medicine. Although we use mistletoe externally for ritual and ‘locational’ purposes, should you have an ailment do see your health practitioner, and should you have done so already and have been given advice and/or medicine, do please continue to use it until told otherwise by them. And remember, ‘intentionality’ is always important when it comes to a herbs effectiveness. Photographs used above are for representational purposes only. Do not self-medicate. Information here is for informational purposes only. E&OE. As an Anamcara, Tadhg has much experience regarding the use of ancient herbs etc. For him, the benefits of liminality affect body, soul and spirit, and so herbs can be an effective ‘tool’ for ushering you and I into that liminal-imaginal realm of power and potential. His work is holistic. For discerning men and women, for a variety of requirements, Tadhg makes up different mixtures as part of his ministry. Here’s one herb/flower that may be beneficial to you. The fragrant creamy white flowers have an almond scent. Queen Elizabeth I was so fond of this herb that the floors of her apartments were always strewn with it. Meadowsweet was mentioned in Chaucer’s, ‘A Knight’s Tale’ in the 14th century. And, it is one the three most sacred herbs to the Druids. Myth: According to the myth and magic that abounds in Wales, out of the waters of Llyn Fan Fach in Carmarthenshire, there came a mysterious and beautiful Lady of the Lake. She taught many about the healing power of plants, especially Meadowsweet. Just a myth? Interestingly, the ashes of a young girl were discovered recently, buried with Meadowsweet, near this lake. It is thought these ashes have laid undisturbed for thousands of years, even before before this story about the Lady of the Lake was recorded. Usage by Tadhg: From the ancient, traditional and complementary healing arts of the ancient Celts, Meadowsweet was very useful. Tadhg’s Apothecary works with it, still, preparing tinctures for ingestion (usually a small number of herbal ‘drops’ added to tea, water or similar), or ‘air essences’ for gentle evaporation (usually several small ‘reeds’ resting in a small bottle of essence) or incense etc for ‘locations and placement-uplift’ eg rooms, workplaces, or for rituals etc. Could it assist you? skin blemishes, rashes, as an aid to healing of wounds etc. We have mixed Meadsweet with Boneset, and/or Ginger, and/or Echinaca, and/or Vervain (tea) as a flu preventative. It mixes well, depending on your requirements. febrifuge (cools the body, and so reduces fever) etc. romance, and stimulating the libido. Contra-Indications: Do not ingest/apply to skin etc if aspirin-sensitive, or if taking anti-congratulatory medicine. Next step: To find out more, and how Tadhg and Tadhg’s Apothecary can assist you with a preparation of this herb (or a mix of this and others, depending on your requirements), do contact him for more information and/or to book a consultation, wherever you are. Please remember, this page is but an outline, and the prescribing of herbs and their mixture is bespoke and personal to you, and only takes place after a 30-40 minute (‘in person’ or online) consultation. You can benefit wherever you are. As an Anamcara, Tadhg has much experience regarding the use of ancient herbs etc. Indeed, using traditional understanding Tadhg’s Apothecary uses many such herbs and plants for clients, today. Here’s one that may be beneficial to you. Frankincense (Boswellia carterii), also known as Olibanum, is part of the Burseraceae plant family. It originates from Arabia and Somalia, has been traded for over 5000 years, and is used today, initially, in its resin form. The ancient Egyptians ground charred Frankincense resin into a powder called kohl, and this was used, formerly, to make the distinctive black eyeliner seen on so many figures in Egyptian art. 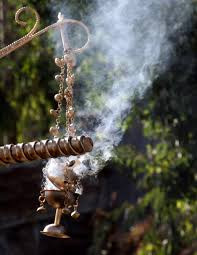 Frankincense is a symbol of holiness and righteousness. Ancient sacred text says: And going into the house they [the Magi, Wise Men] saw the [Christ] child with Mary his mother, and they fell down and worshipped him. Then, opening their treasures, they offered him gifts, gold and frankincense and myrrh. Traditionally, it was used for the healing of: various physical ailments, but this is no longer the case. Frankincense has a strong, other-worldly aroma that seems to allow a greater depth of thought and meditation. Client use it in the home in rituals, in the home for general purposes, and some churches like us to mix it with other herbs etc, for them. Caution: Frankincense should never be ingested. It is sometimes used externally on the body in a very dilute form and mixed with oil, but care must be taken, and we would advise against this.